I cover quite a bit of nail polish here on the blog, and as much as I love the actual act of painting my nails (or having them painted at the nail salon! ), sometimes a chip or smudge can come at the most inconvenient time, and mars the manicure. The "Gel manicure" has been hailed as the solution in recent years - a shiny lacquer manicure which never chips, wears down or dulls for a few weeks. But these generally need to be done in a salon by a professional. 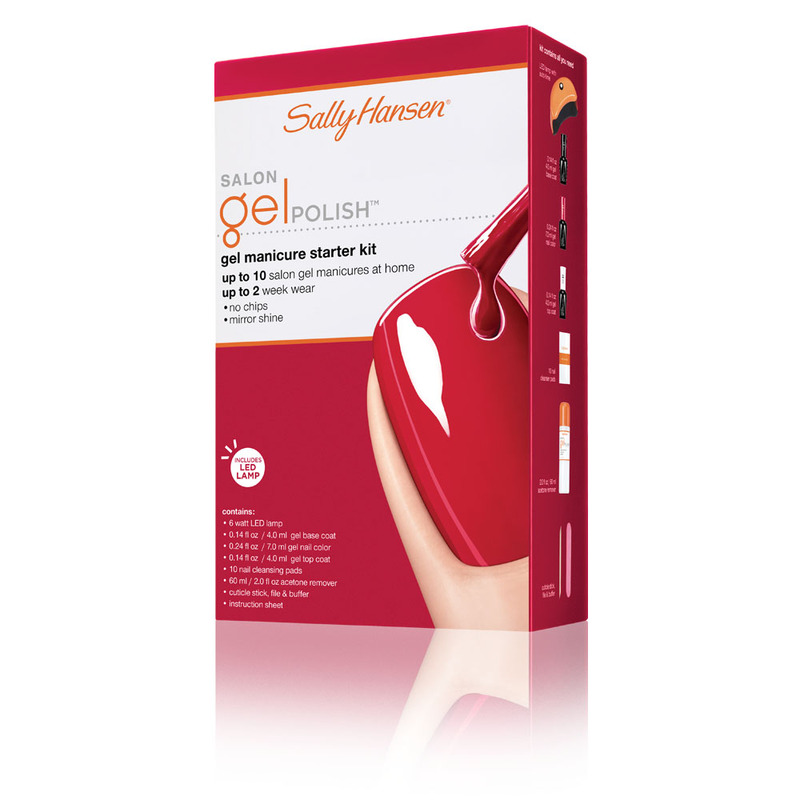 Sally Hansen, the geniuses they are, have found a way to create at professional gel manicure in the comfort of your home - that's also easy and doesn't cost an arm and a leg! So, off I went to try the Sally Hansen Gel Starter Kit. Overall, while it does require a bit of patience and following all the steps exactly as indicated, this really did give me fabulous looking nails - for well over a week. While the steps are easy and clearly laid out, they must be followed exactly. For example, after each step (applying the base, color and top coat) you MUST put your hands under the LED light for 30 seconds. After completing all the steps I loved the shiny red color and I loved how professional they looked. The kit contains the following pieces: (The LED Light, Acetone Remover, Gel Top Coat, Gel Base Coat, 1 Gel Nail Color (Red My Lips) and Cleanser Pads). This will give you 10 at home manicures which, at $69.99; for the full system, comes out to about $7 a manicure, which is much less expensive than a professional gel manicure. When painting the nail you must seal the tip of the nail with BOTH the polish and the top coat. File the top of the nails very well. *This product was provided courtesy of Sally Hansen for reviewing purposes.